Still Available: Get a free stamp collectors catalog from Kenmore. Along with the catalog filled with 150 of colorful stamp photos, you will also receive sample stamps and a $5 gift certificate. 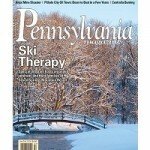 Get a free issue of Pennsylvania Magazine. You’ll receive a free copy in about 4 weeks. You won’t receive a bill or anything else. Simply complete the short form on their page and click Submit to request your free sample issue. 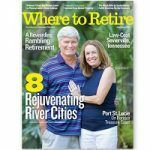 You’ll receive the next issue of the magazine and find out why more than 400,000 readers feel Where to Retire is an indispensable guide to making the most of retirement! This comic book is meant to be both entertaining and educational, not necessarily comical though. 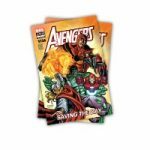 Both parents and teachers can request the free money lessons comic book for kids, Marvel’s Avengers Saving the Day. You can also request an educational DVD. These top-quality financial literacy materials, including classroom modules, games, DVDs and brochures, are free and available for access now by all educators, parents and consumers. Click “Download” to download an item, or “Add to Cart” to receive it by mail. Summer time is coming, get ready to fish. 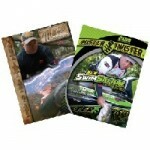 If you are a resident of the United States and would like to receive a free Mepps Master Catalog and a Mister Twister Tackle Catalog fill out the form on their page. Thinking about doing some traveling this summer? Sign up and receive a free Yellowstone trip planner! Start planning your Yellowstone vacation today with their free trip planning package that includes an 8-page trip planner, e-newsletter, travel information & deals from our preferred travel partners. I just signed up for this so am not familiar with the deals offered by their preferred travel partners. I am guessing you may also want to try travel discount sites as well to verify you are indeed, getting the best prices. Enjoy your Yellowstone vacation. 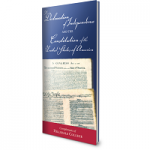 Request a free copy of the Declaration of Independence and Constitution from Hillsdale College. They offered this a few years ago and now it is available again. Use the new 2017 Pigeon Forge travel guide to help build your family trip, romantic getaway, or a fun friends’ weekend. This guide includes things to do, discounts, maps and tips. Pigeon Forge is located in Tennessee near the Great Smoky Mountains National Park.